You’ve heard the saying, "Everything’s bigger in Texas," right? Festivals are no exception, as the Lone State State is home to some of country’s largest (and raddest) cultural events. Case and point? 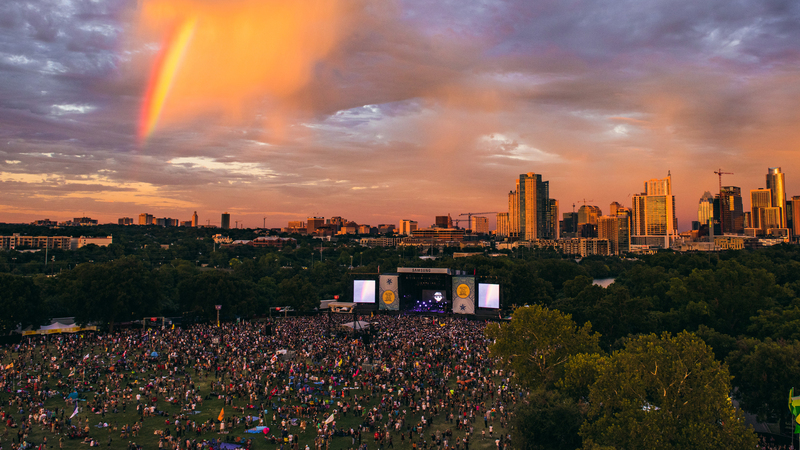 Austin City Limits Music Festival, which takes place over the course of two weekends each year in the heart of the State's capital. 2016's festivities were a knock-out, and brought acts like Radiohead, Mumford & Sons, Kendrick Lamar, and LCD Soundsystem to Zilker Park for the action. We danced, sung, and ate (food trucks, anyone?) our way through the fifteenth annual celebration of music and art, and we can't wait to see what ACL Fest 2017 has in store for us. Want to secure your entry to the fest ASAP? We've got you covered—Bandsintown is hooking up one lucky user with the ultimate flyaway package to Austin City Limits 2017. Hotel, airfare, and two tickets are all included in the prize, so all the winner and their plus one will have to do is show up. For a chance to join in on the fun, see how to enter our giveaway below (18 and up only). Winners will be contacted via email before the event, so, if you don't hear from us, be sure to scoop up your tickets here after the lineup is announced on May 4! Read our Official Rules here (Must be 18+ to enter). To enter to win, you'll need to RSVP on ACL Fest's Bandsintown Event Page (click "I'm Going" or "Interested") before 11:59 p.m. EST on May 3rd, 2017. Only one entry per Bandsintown user account or email address, as applicable, may be submitted. Are you ready to see who's playing this year's Austin City Limits Music Festival? Look for the #ACLFest Lineup at 6am CT on Thursday, May 4th and Tickets at 10am, 5/4!